As a design/build contractor, DreamMaker Kitchen & Bath – Greater Grand Rapids provides exterior, bath and kitchen remodeling services from conception to completion. In this blog, we share an overview of our remodeling process. The process begins with a free consultation at our showroom. Our expert designer will help you explore our remodeling options and help you narrow down the one that best represents your wants and needs. Homeowners can bring photos of the space they want to renovate to help our designers draft design plans. Our designers will then come over later and do a home survey. This is where the project will be fine-tuned with accurate measurements, as well as determine structural, plumbing and electrical issues that will need to be addressed. Shortly, you will be meeting with our designer at our showroom to go over the designs and proposal. This will also be the time to make changes and further tweak the design of your exterior, kitchen, or bath remodeling project until you’re 100% happy with it. Ultimately, the contract will be drawn for your signature. After signing the contract, our designer will arrange a meeting with our production staff to go over the schedule and work out logistical details. This includes ordering the materials from our suppliers and ensuring a timely delivery date. We will also allocate the number of installers needed for the project, as well as the lead carpenter who, together with our designer, will be your main contact throughout the project. Permits and other required paperwork will also be our responsibility. You will be kept up-to-date by our designer on the progress of the project before and during the project. If you can’t be present during installation, you will receive progress reports through calls and text, and only at the times you specified. You can be confident that by the end of the remodeling project, the results will exceed your expectations. 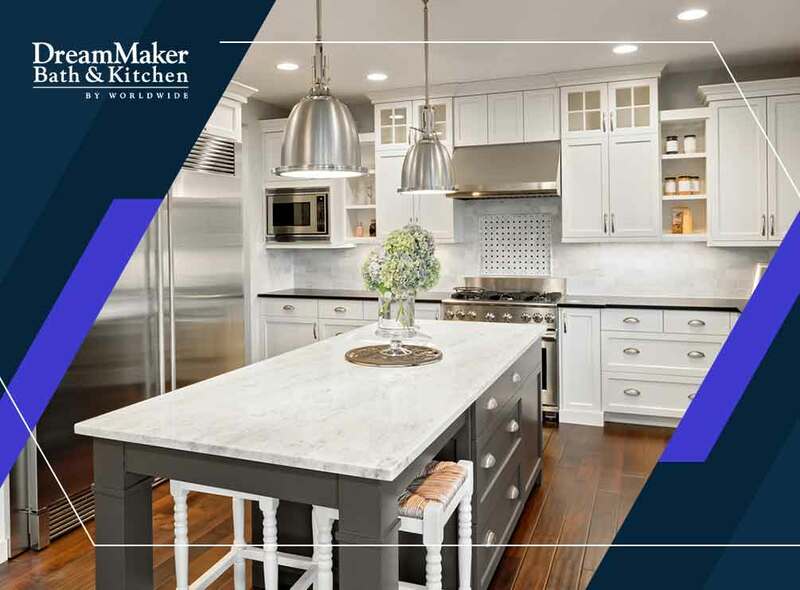 DreamMaker Kitchen & Bath – Greater Grand Rapids is a faith-based organization that aims to provide excellent interior and exterior remodeling services through integrity and client-centric customer service. Give us a call at (616) 200-7495 or fill out our contact form. We serve clients in Rockford, MI and surrounding areas.